Below you will find a comprehensive outline detailing my services. All of my packages include an initial complimentary 15-minute phone consult so that I can learn more about you and determine if you are a candidate for my programs. Please fill out the form below and select your package, I will get back with you shortly to schedule a time for a consult! Thank you so much! Would you like to be included in my monthly newsletter? This 12-week plan is for anyone looking to improve overall gut health. With nearly 80 percent of the immune system located in the gut, it becomes increasingly important to make sure we establish a healthy gut in order to achieve optimal health. 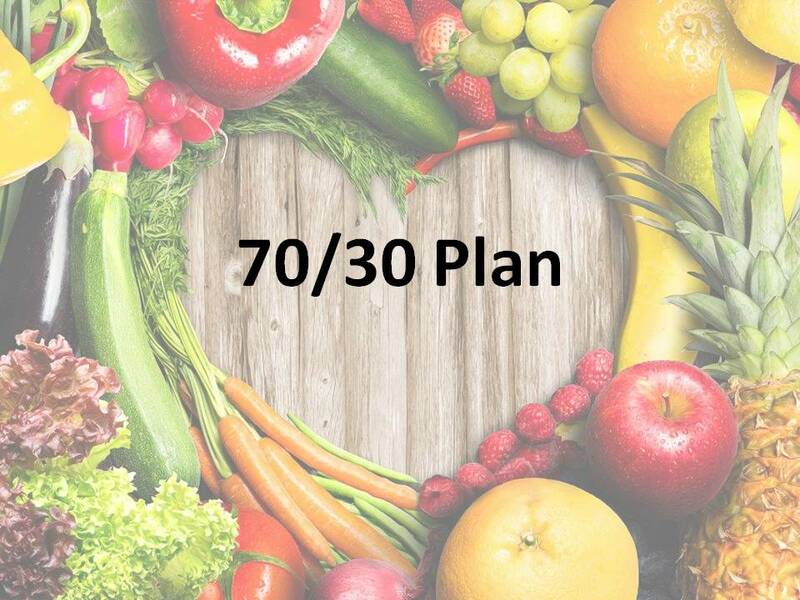 The 70/30 Plan focuses on 70 percent of the time eating healthier by breaking down our meals, analyzing our diet and lifestyle, and focusing on ONE particular area of your diet to start. This plan educates you on how to slowly transition into sustaining a healthier lifestyle by learning how to meal plan as well as reviews the best foods to incorporate and avoid in order to maintain optimal health. While this package is designed for 12-weeks for us to work together and begin implementing the plan, it is applicable and sustainable for the rest of your life so that eating healthy becomes routine and enjoyable. This plan combines Gut Health: Learn to Heal the Gut along with the 70/30 Plan: Guide to Eating Healthy for an all-encompassing 12-week plan.